A no-confidence motion notice has to be supported by at least 50 MPs to be taken up in the House. TDP, which pulled out on NDA last week, has 16 seats, and YSR Congress has only eight. The no-confidence motion against the Modi government went unheard in Lok Sabha on Monday as the session was disrupted by loud protests by several parties. The House had received three requests for the motion - one by YSR Congress and two by TDP. However, the House Speaker Sumitra Mahajan was unable to entertain either due to the ruckus. 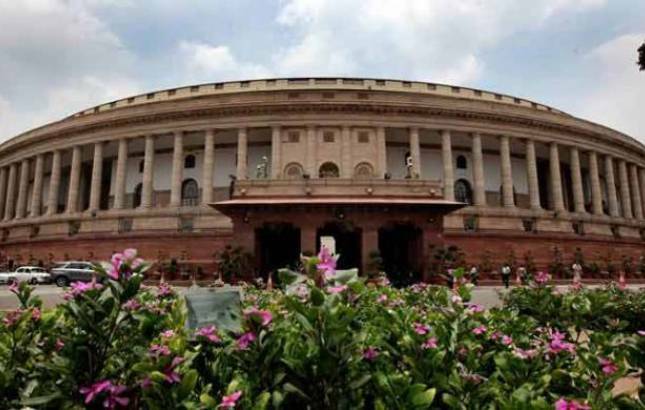 When their notices were not accepted last week, parliamentary affairs minister Ananth Kumar had said they could not be taken up due to the House being not in order, with members of several parties raising slogans in the well. With Telangana Rashtra Samithi (TRS) and AIADMK, which have often cooperated with the government on its legislative business, protesting over a host of issues, it remains uncertain if order can be restored in the lower House on Monday. While the first two weeks of the last phase of the budget session have been a washout, the government has managed to get some key bills and the budget passed amid din through a voice vote without debate.